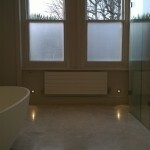 Fitting Chiswick bathrooms is always a pleasure and we love working in this part of London. We understand that Chiswick locals are passionate about their neighborhood’s property and have campaigned to protect its beautiful homes for decades. Thanks to these efforts, pretty Victorian cottages, large Edwardian homes and elegant Georgian riverside properties have been preserved. 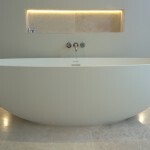 We believe that these beautiful properties deserve stunning bathrooms. 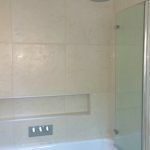 At Richmond bathrooms we are also used to fitting bathrooms in modern blocks of flats and apartments such as those along Chiswick High Road. 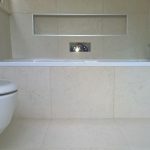 We believe that we can design a bathroom that suits your home and meets the needs of your family. 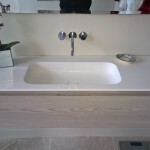 Please enjoy viewing the pictures below of some of the Chiswick bathrooms completed for our customers. 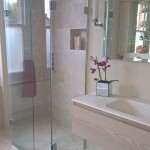 This beautiful wetroom installation makes the most of this spacious bathroom. 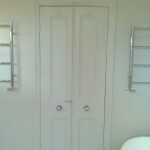 The room has a high ceiling and plenty of natural light from the large sash windows. 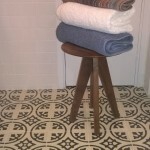 The beautiful marble tiles look warm even before your toes feel the heat of the warm-up underfloor heating mat. 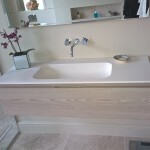 Adatto Cassa wall hung basin unit with bespoke mirror. 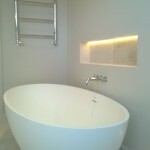 Ashton Bentley free standing bath with Tango low level wall lights and LED recess lighting. Shower lab wetroom shower screen and an Abacus Elements wetroom shower tray. 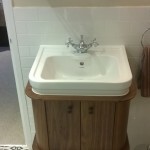 Ashton Bentley free standing bath with a wall mounted bath filler tap. 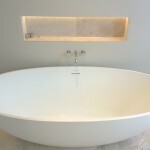 Freestanding bath with a wall mounted bath filler and recessed shelf with LED lighting. 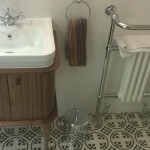 Patterned floor tiles and traditional style fittings add some real charm to this small shower room. 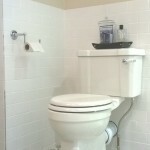 It is often difficult to work with the sloped ceiling in left bathrooms. 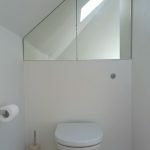 The bespoke mirror cabinet uses the sloping roof while adding much needed storage. 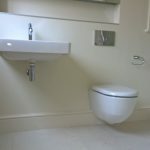 As the bathroom is small it is important to avoid clutter while making the most of space. 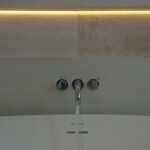 The tiled in double ended bath and simple recessed valve controls make this possible. 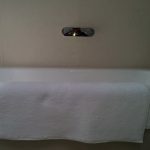 The only item on the bath deck is the pull out hand shower. 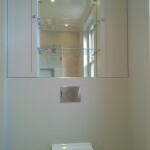 Bespoke mirror cabinets above a wall hung WC in an attic bathroom. 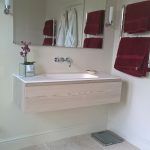 The Merlyn two panel folding bath screen is great for folding away flat against the wall. If you really like to use your bath for bathing and don’t like the glass screen getting in the way this bath screen is for you. 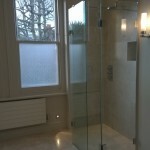 A steel bath with a fixed head shower, horizontal recessed shower valve and a bi fold shower screen.